CLICK HERE—ADHD Drug Side Effects http://goo.gl/rjAKh ADHD is a mental "disorder" based only on a checklist of behaviors. There is no medical ADHD test to prove any kid has ADHD, yet more than 4.5 million kids have been diagnosed and put on drugs such as Ritalin, Adderall and Concerta, which the U.S. DEA places in the same highly addictive category of class A drugs as cocaine, morphine and opium. According to the Center for Disease Control, boys are much more likely to be diagnosed "ADHD" than girls.
" runs about or climbs excessively in situations when it is not appropriate"
" is often 'on the go "
"acts as if driven by a motor"
" loses pencils or toys"
"often doesn't seem to listen"
To be perfectly clear — this is all that it takes to diagnoses a child with a 'mental disorder' of ADHD; a checklist of behaviors (the above is taken directly from the American Psychiatric Association's Diagnostic and Statistical Manual of Mental Disorders (DSM), psychiatry's billing bible. There are no blood tests, brain scans, chemical imbalance tests, X-rays or "genetic" factors to prove any child has a mental "illness" called ADHD. This is simply a list of child-like behaviors that psychiatrists clustered together, repackaged as a mental disorder and the result is a multi- billion dollar empire — the child labeling and drugging industry..
UNDERSTANDING ABOUT ATTENTION DEFICIT DISORDER.. I'm going to use a few case histories,along with name changes & altered here to explain what this is all about as I really don't have full permission from the named person's to pass this information along out of work place,nor do I like to go into my own personal experiences with this condition,so read between the lines please.. Though it shames her to admit it,Terresa used to hate her son,"By the age of four he was out of control as far as she was concerned and nothing made a difference"..."He was constantly throwing what she saw as tantrums - getting hysterical and kicking and punching. I would turn my back on him to put shopping in the boot,then find him scratching other people's cars with my keys. He just wouldn't listen to reason,so I thought it was because I was a terrible mother. "Then Terresa's second child was born. "Once she reached the age of two,I realised that my sons behaviour had not been normal. By then he was at school,where he was constantly in trouble and falling behind in his grades. He was diagnosed with ADHD and put on medication. The change was dramatic even though I hated to think a pill was all that did that,it gave me a rest for a while and as this drug was none addictive or had adverse side effects I thought for a short time it was of benefit and Id take him off it later when he had matured a bit. Anyway within weeks,he was no longer destructive and I was able to reason with his actions and knew he was taking in what I was talking to him about to take responsibility for his actions. For the first time he willingly did homework and sat still to eat his dinner to" We've all seen kamikaze kids defying frazzled parents on buses and in bank queues. In the past,they would have been in constant contact with the wooden spoon..Today,however,children who are chronically hard to handle are being diagnosed with Attention Deficit Hyperactivity Disorder [ADHD] - an epidemic that appears to be sweeping our playpens and schools. [The name of the condition - formerly Attention Deficit Disorder or ADD - was changed several years ago to include the hyperactive component of the condition] Health professionals estimate that up to 5 per cent of New Zealand & Australian children have ADHD. The 2010 National Mental Health Survey of New Zealand Youth suggests the figure may be higher - with up to 11 per cent of children between six and 17 showing clinical signs of the condition. The symptoms of ADHD are a recipe for chaos: Poor organisational skills,short attention span,inefficient short-term memory,impulsive or aggressive behaviour,and delayed development. "One can joke that these behaviours apply to all of us at times,but in ADHD children they are extreme and chronic" say Dr's and heads of the Child Development Units at the Children's Hospitals. "The art of diagnosis is increasing,because we are better at recognising the condition these days and can use alternative formats to manage without medications. That's a good thing,because if we don't catch these children early enough they experience years of failure,which lowers self-esteem,as well as academic,vocational and social competence" The full-out can be long term. A large scale study in the Psychiatric Institute in the US has been tracking two groups of boys since the 1970's. By their early 20's the hyperactive boys in the study were nine times likely to have been in prison. Although the cause of ADHD is not yet fully known,its thought that the problem occurs in the brain's frontal lobe,where some receptors don't respond to dopamine,a hormone-like substance which aids brain function. This tendency seems to be passed through families. Research of more than 1000 twins has been conducted over the past 10 years,"We have found from this that if one identical twin has ADHD,the chance of the other having the condition is 80 to 90 per cent","this strongly suggests that this is a genetic condition". The effect on the child's brain of this inattentiveness can be shown through imaging,which maps electrical activity. "When children without ADHD do a 'thinking task',the frontal lobes [involved in planning,organisation and impulse control] becomes very active,"When children with ADHD do the same task,they don't show that same increase in frontal brain activity"
The medical teams have found that a single dose of ADHD medication can kick-start greater frontal lobe activity in some children. However,medicating children for behavioural or concentration difficulties still causes great controversy,and so it should,its sometimes not the right thing nor an easy fix solution either. The drugs most commonly prescribed to control ADHD are Dexamphetamine and Ritalin,which are in the same family as street amphetamines or speed [equivalent to LSD] The demand for these drugs is on the increase to. The Federal Health Department figures show that in 2006,an estimated 9900 scripts for Dexamphetamine were filled,compared with 248,300 scripts in 2011. 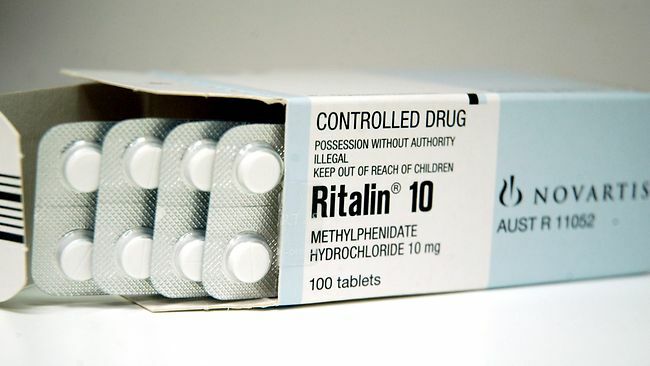 In the same five year period,Ritalin prescriptions soared from 13,400 to 96,600. About 1 percent of New Zealand children taking stimulants every day. Potential side effects include poor weight gain,slow growth,stomach pains,insomnia,even hallucinations. "Fortunately,such problems can usually be minimised by getting the dose right", "The medication is successful,improving information in 70 to 90 per cent of children who take it." Diagnosis of ADHD is made by paediatricians,psychiatrists to a questionnaire asking them to determine behaviours,each case is assessed on a individual basis,and not always is medication given and more management of behavours is the first option. Not according to Dr's at the Medical Association Council of General practise. I'd question whether some children have other,overlooked problems,ranging from vision,hearing or learning disabilities through to emotional problems such as depression,anxiety or difficulties at home,even parenting techniques,child abuse etc. Boys are diagnosed with ADHD at four times the rate of girls. Could we be medicating them for behaviour that 50 years ago would have been seen as boisterous or just simply naughty? "In some cases I think we are,the problem is three-fold:boys have less contact with men due to family breakdowns and long working hours,so their role models are now action heroes,they have energy to burn but,due to stranger danger and computers,often finish the school day and then sit indoors. 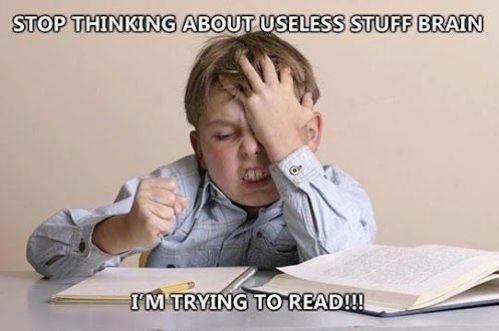 There is also an indication that boys learn better by rote,so current changes to the curriculum disadvantages them,thereby encouraging failure and acting out,This may be misdiagnosed as ADHD." ..
Two years ago,Margaret Prescoll,44, became aware that her then seven-year old son Mathew was not being attentive at school work "the next thing I knew,the school psychologist was diagnosing him with ADHD" she said incredulously she disagreed with the diagnosis and so did Mathew's teacher. "I would rather accept that he learns at a different pace to other children" ...Could another form of treatment help him? I certainly think so,and so do others in my field of work,my superior has specialised in perceptual motor dysfunction. "The 30 percent of children with these movement difficulties behave in exactly the same way as an ADHD child " she explained "but their problems is actually a delayed development of kinesthesis,which is the feeling of movement. [Kinesthesis] is not fully developed until age 12, but our educational curriculum here unhelpfully demands it be developed much earlier. Those children who can't keep up either act out or withdraw into their own world. Through simple exercises,however,such as teaching a child to look at the target when they throw a ball,the majority improve and can be successfully weaned off medication after three to 10 sessions". Other treatments include neurofeedback - computer games to help stimulate brain waves that assist concentration. Despite parents concerns,there is no evidence that such games worsen or cause ADHD, in fact,early evidence suggests that the right computer games used therapeutically during 20 to 40 half-hour sessions of neurofeedback can be as effective as stimulant drugs. The benefits of medication are also being explored through a program being plotted,children aged 10 and under who have been diagnosed with ADHD will be taught concentration-enhancing techniques,such as lying still,visualisation and repeating affirmations. The team are also researching whether supplementation with the fatty acids found in fish oils can help children by affecting the nervous system. What about cutting out junk food? its shown little evidence to support this as a treatment for ADHD, however,some supplementary practitioners swear by its importance. "Allergies or nutritional deficiencies due to poor diet can lower a child's immunity,then children may develop sensitivities to chemicals in food,such as sugar,additives,colourings,gluten in wheat and lactose in milk. Its been known to cure many children of their supposed ADHD symptoms through a low-allergy diet and supplements that include vitamins such as B,C and E,in minerals such as zinc. Some parents of children with ADHD believe a change in diet is effective they say cutting out foods such as chips and soft drinks,sugar etc but found that diet made no difference,so its debatable but worth looking into regardless..sugar in particular has been known to be infused with other ingredients that can act like parasites in the human body,see the video below that explains this..
Trish Walker 37 whose 10 year old was diagnosed with ADHD at age eight.. said without Ritalin,her son is a extremely aggressive child,He's been expelled four times,and each time we have later realised he had forgotten to take his medication that day. Yet my immediate family insist my husband and I are just not firm enough with him. Blaming parents for the behaviour of children with ADHD causes them heartache and embarrassment,its common for these parents to have two or three other children who are fine and only one child with ADHD - so it is obviously not a parenting issue,Yet we point a finger and add to their duress. It can also be stressful trying to find a school willing to take a child branded as difficult. The increase in ADHD diagnosis has caused some schools to take an anti-medication stance. In our schools we dont enrol children on ADHD drugs said one continental area director of applied Scholastics,an organisation that oversees independent schools and learning groups.. "Their view is that medication is simply a cover-up for other problems" the organisation feels schools use visual and tactile stimuli,and children are never pushed into learning new skills prematurely. Children with ADHD can be talented in areas such as the arts, Kurt Cobain who I'm a huge fan of by the way,influential lead singer of the band 'Nirvana',was diagnosed with ADHD and placed on Ritalin from age four. 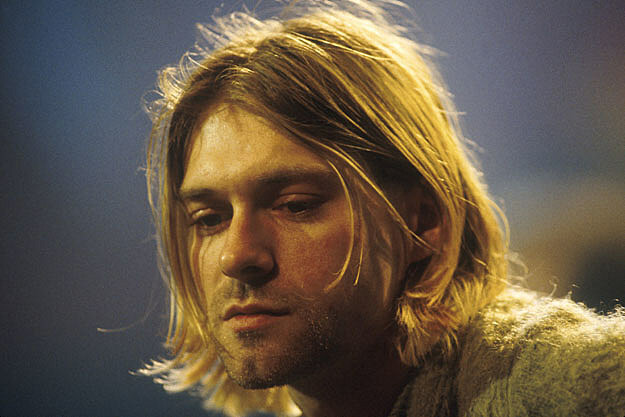 This caused him insomnia,so he was prescribed sedatives,Another side effect of Ritalin was stomach pain, which,when he was older,Cobain anaesthetised with an alternative drug Marijuana and then moved to Heroin,his drug dependency was said to be linked to his suicide at only 27yrs of age sadly, what a loss of pure talent in my eyes,when his condition could have been placed under better control and management and he'd still be here today,pumping out the awesome wacky cool tunes he's well known & famous for. In which case is the risk that taking stimulant medication will lead children[and adults] with ADHD to greater experimentation with drugs? Well no according to the research,in fact it suggests that children with ADHD who are on medication are at less risk of substance abuse in adolescence,because they don't need to self-medicate to try to treat their problems. If you give a child a drug to help them improve their grades and behaviour,you risk teaching them that drugs are a quick-fix solution to problems. We need to be more inquiring about the underlying causes of behavioural problems. If not,we'll never be sure the children diagnosed with ADHD are not crying out for some other form of attention which has a cause that's been overlooked and lead to disaster and loss of lives.. The disturbance in behavour causes clinical significant impairment in social,academic,or occupational functioning. All of the criteria above include the word often..but what exactly does that mean? Recent studies here have shown that these behaviours occur to a varying degree in all children. These researchers have found that the 'often' is best solved by the following criteria..
No one knows for certain. The usual pattern is for problems to begin between ages 1-3.. If you think about it,a lot of these behaviours are normal at age 2,but in this disorder they never go away. It does run in families. If a parent is alcoholic and has been in trouble with the law,their children are almost three times as likely to have ODD. That is 18% of children will have ODD if the parent are alcoholic and the father has been in trouble with the law. HOW CAN YOU TELL IF A CHILD HAS IT? ODD is diagnosed in the same way as many other psychiatric disorders in children. You need to examine the child,talk with the child,talk to the parents,and review the medical history. Sometimes other medical tests are necessary to make sure it sis not something else. You always need to check children out for other psychiatric disorders,as it is common the children with ODD will have other problems,too. A lot of children! & Adults to!..This is the most common psychiatric problem in children. Over 5% of children have this. In younger children it is more common in boys than girls,but as they grow older,the rate is the same in males and females. It is exceptionally rare for a physician to see a child with only ODD. Usually the child has some other neuropsychiatric disorder along with ODD. The tendency for disorders in medicine to occur together is called comorbidity. Understanding comorbidity in paediatrics psychiatry is one of the most important areas of research at this moment. If a child comes to the clinic and is diagnosed with ADHD,about 30%-40% of the time the child will also have ODD..Here are some examples of how this looks across ages..
WHAT HAPPENS TO CHILDREN WHO HAVE THIS WHEN THEY GROW UP. There are three main paths that child will take. FIRST: There will be some lucky children who outgrow this..The exact number is not clear,but probably not the majority. The aggressiveness is very stable. That is aggressive 2 year olds are likely to be aggressive 20yr olds. Only IQ is more stable over years than aggression. SECOND: ODD may turn into conduct disorder[CD] This usually happens fairly early. This is,after a 3-4 years of ODD,if it hasn't turned into CD,it wont ever. What predicts a child with ODD getting CD? A history of a biologic parent who was a career criminal,and very severe ODD. THIRD: The child may continue to have ODD. Recent work suggests that this is probably the most common path. If you look at a group of preschool boys who have ODD and check out two years later, about 75% still have something wrong. Sometimes ODD at that age changes into something else,but that is rare. More often ADHD and ODD just continue on. The more common thing that happens is that children with ODD develop signs of mood disorders or anxiety as they get older. By the time these children are in the end of elementary school,about 25% will have mood or anxiety problems which are disabling. That means that it is very important to watch for signs of mood disorder and anxiety as children with ODD grow older. WHAT CHILDREN WITH ODD END UP AS CRIMINALS? Probably not unless they develop conduct disorder even then many will grow out of it. Life may not be easy, People with ODD who are grown up often do best if they can work for themselves and stay away from alcohol and drugs. However their tendency to irritate others often leads to a lonely lifestyle. WHAT IS THE DIFFERENCE BETWEEN ODD AND ADHD? ODD is characterised by aggressiveness,but not impulsiveness. In ODD people annoy you purposefully,while it is usually not so purposeful in ADHD. ODD signs and symptoms are much more difficult to live with than ADHD. ADHD sometimes goes away,but ODD rarely does. ODD is not characterised by poor social skills either. Children with ODD can sit still. WHAT DIFFERENCE DOES IT MAKE IF YOU HAVE ADHD OR ADHD PLUS ODD? A lot! Children and adolescents with AHDS alone do things without thinking,but not necessarily aggressive things. An ADHD child may impulsively push someone too hard on a swing say and knock the child down on the ground. She would likely be sorry she did this afterward. A child with ODD plus ADHD might push the kid out of the swing and say she didn't do it,and then brag about it to her friends later. ADHD plus ODD children and adolescents are in a lot of trouble as their impulsiveness and hyperactivity often lead to fights,rough play,and huge temper tantrums. MY CHILD HAS BEEN DIAGNOSED WITH ODD. I DON'T LIKE TO SAY THIS,BUT NO ONE CAN STAND HIM. IS THIS COMMON? Unfortunately,it is quite common. In comparison to ADHD alone,children and adolescents with ODD plus ADHD or just ODD are much more difficult to be with. The destructiveness and disagreeableness are purposeful. They like to see you get mad. Every request can end up as a power struggle. Lying becomes a way of life,and getting a reaction out of others is the chief hobby. Perhaps hardest of all to bear,they rarely are truly sorry and often nothing is their fault. After a huge blow up,the child with ODD is often calm and collected. It is the parents who look as they are going to lose it,not the child. This is understandable. The parents have probably just been tricked,lied to or have witnessed temper tantrums which know no limits. MY FATHER IN LAW SAYS THE WHOLE PROBLEM IS MY HUSBAND AND I. MY DAUGHTER CONVINCED HIM THAT SHE IS A VICTIM OF UNCARING PARENTS. HOW OFTEN DOES THIS HAPPEN? Too Often! Children and adolescents with ODD produce strong feelings in people they are trying to get a reaction out of people,and they are often successful. Common ones are:inciting spouses to fight with each other and not focus on the child,making outsiders believe that all the fault lies with parents,making certain susceptible people believe that they can 'save' the child by doing everything the child wants,setting parents against grandparents,setting teachers against parents,and inciting the parents to abuse the child. I frequently see children with ODD in which teachers and parents and sometimes others are all fighting amongst each other rather than with the child who is causing all the turmoil in the first place. In some ways,conduct disorder is just a worse version of ODD. However recent research suggests that there are some differences. Children with ODD seem to have worse social skills than those with CD. Children with ODD seem to do better in school. Conduct disorder is the most serious childhood psychiatric disorder. Approximately 6-10% of boys and 2-9% of girls have this disorder. Here is the definition..
A. A repetitive and persistent pattern of behaviour in which the basic rights of others or major society rules are violated. At least three of the following criteria must be present in the last 12 months, and the least one criterion must have been present in the last 6 months. Aggressive to people and animals.. Deliberately engaged in fire setting with the intention of causing serious damage. Has deliberately destroyed others property other than by fire setting. Often stays out at night despite parental prohibitions,beginning before 13yrs of age. Has run away from home overnight at least twice without returning home for a lengthy period. B. THE ABOVE PROBLEMS CAUSES SIGNIFICANT IMPAIRMENT IN SOCIAL,ACADEMIC,AND OCCUPATIONAL FUNCTIONING. SO HOW ARE ODD AND CD RELATED? Currently,the research shows that in many respects,CD is a more severe form of ODD. Severe ODD can lead to CD. Milder ODD usually does not. The common thread that separates CD and ODD is safety. If a child has CD thee are safety concerns,sometimes it is the personal safety of others in the school,family or community,sometimes it is the safety of the possessions of other people in the school,family or community,often the safety of the child with CD is a great concern also,children with ODD are in annoyance,but not especially dangerous,If you have a child with CD disorder in your home,most likely you do not feel entirely safe,or you do to feel that your things are entirely safe either. It is the hardest paediatric neuropsychiatric disorder to live with as a sibling,parent,or foster parent like myself nothing else even comes close. It is worse than any medical disorder in paediatrics. Some parents have told me that at times it is worse than having your child die,wow that's horrible isnt it.. It has been common in the past for people to think that conduct disorder is just the beginning of being a criminal. Up until the last few years,children with conduct disorder were often 'writtenoff'. It is now clear that this is true only with a minority of cases. It is very easy to focus on the management of the CD child and forget to check the child out for other neuropsychiatric disorders. A careful examination of children with CD almost always reveals other neuropsychiatric disorders. Some of the most exciting developments in this area of medicine involve understanding this phenomena. It is called comorbidity,that the tendency for disorders to occur together. It is very common to see children with CD plus another one or two neuropsychiatric diagnoses,by far the most common is CD plus ADHD,between 30-50% of children with CD will also have ADHD,anotrher common combination is CD plus depression, CD disorder plus substance abuse is also very common,also common are associations with learning disorders,bipolar,tourettes syndrome & asbergers.It is exceptionally rare for a child to present for evaluation by a paediatrics psychiatrist to have pure CD,here are some examples of the comorid presentations. Looking for comorbid disorders in every child with conduct disorder is absolutely essential. Many of the treatments of these children depend on what comorbid disorder is also present. Conduct disorder is diagnosed like all things in paediatrics psychiatry. The child and the caregiver will be interviewed together and separately to go over the history and check out all other possible comorbid conditions. Usually there are school reports too,The child is examined to look for signs of many disorders,this usually includes some school work and or teachers reports,recommendations,interventions tried so far etc. some parts of the physical exam,and getting the child's perspective on things,occasionally,there are lab tests and Xray's to do to. There is no lab test that shows these problems..
Perhaps about 30% of conduct disorder children continue with similar problems in adulthood. It is more common for males with CD to continue on into adulthood with these types of problems than females. Females with CD more often end up having mood and anxiety disorders as adults. Substance abuse is very high,about 50-70% of ten year olds with conduct disorder will be abusing substances for years later, Cigarette smoking is also very high,a recent study of girls with CD showed that they have much worse physical health,girls with it were almost 6 times more likely to abuse drugs or alcohol,eight times more likely to smoke cigarettes daily,where almost twice as likely to have sexually transmitted diseases,had twice the number of sexual partners,and were three times as likely to become pregnant when compared to girls witout CD. Looking at this from the other direction,by the time they are adults,70% of children no longer show signs of CD,are they well? Some are,but what often happens is that the comorbid problems remain or get worse. That is a girl with CD and depression may end up as an adult with depression,but no conduct disorder. The same pattern can be true of CD plus Bipolar disorder and other disorders. "If you have a child with CD,everyone will initially assume it is your fault,you will be blamed by everyone for what the child does. You may know all about family and children services,probation,youth court,residential homes,RCMP procedures,and Mental Health Services"
"You will often have the feeling that no one knows what they are doing with your child and they are just trying to pass the buck to someone who does"
"You can end up divorced,depressed,alcoholic,hopeless,or all of these from dealing with such a child,it will often make or break your faith in yourself and your spiritual belief even"
"You can see yourself where the child's problems are leading,but can be unable to do anything about it or find anyone who can do anything about it.helplessness"
DON'T GIVE UP! there is a lot to that can be done!.. 1. Op-positional children have an obvious problem and a not so obvious problem. one degree or another,are carrying adult emotional responsibilities. evil or bad -they just perceive confrontation differently. demanding their rights and may demand equal relationship from adults. that they do not think that their parents love them. abusive and the child is often given the label of a conduct disorder. side you are on is more important than what the reality of the situation is. that they may function in age appropriate ways. If your answer is that 'your child' to the above questions,then it is likely that your child is oppositional in his/her behaviour. power as determining the way the argument went. short-changed when it comes to these qualities. The second problem with severe oppositional problems is that the child most likely to be abused is the one with oppositional behaviour. Third problem with severe oppositional problems is that they sometimes interfere with schooling. The kids that teachers have the least patience with are these kids and not uncommonly these children develop negative attitudes towards the classroom. This is not always the case as some children only show the oppositional tendencies with the people they are the closest too - family and friends. Fourth problem is the amount of family tension and unhappiness often surrounding severe oppositional behaviour. Parents often feel like failures and are actually hating the kid. parent rather than at the timing of the child. Parents must choose the battle. intimacy with the child is the most important source of parental authority. the parent. Respond in an empathic,non-reactive,optimistic,and firm fashion. have awareness of these issues. learn how to cope with the child's behaviour. disorder know how to manipulate these situations. 8. Dis-empower the child gently with love using some of the following ideas. consequence,the second tier,does not require the cooperation of the child. you up and ensure that you keep calm,team work. argument or controls their emotions. unique for a good reason. A 12 year old boy noticed a girl was leaving class to go to the bathroom.